15.6'' Laptop case. This laptop case is the epitome of ?just right?. 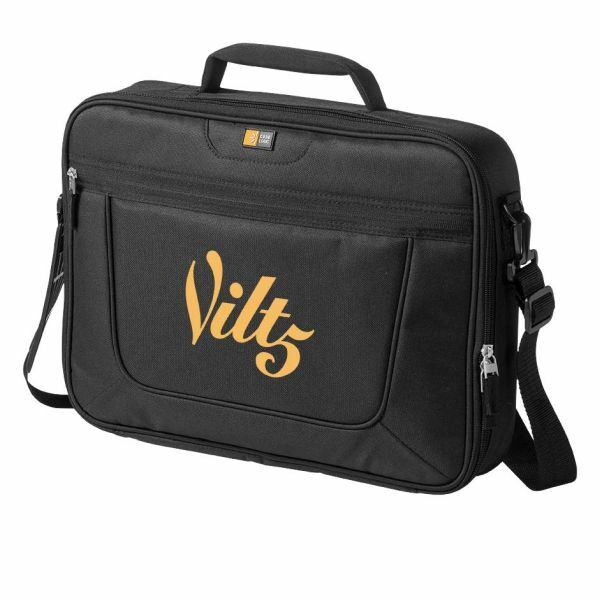 Tailored case compatible with most laptops with a 15.6'' screen. Padded laptop compartment walls provide extra protection. Slip pocket keeps documents separated from other items in your bag. Front pocket panel provides basic organisation for small daily accessories. Front pocket features a wide base for bulky items like chargers. Carry in comfort with neoprene-lined, padded handles and a removable strap with anti-slip shoulder pad. 600D Polyester. 538.